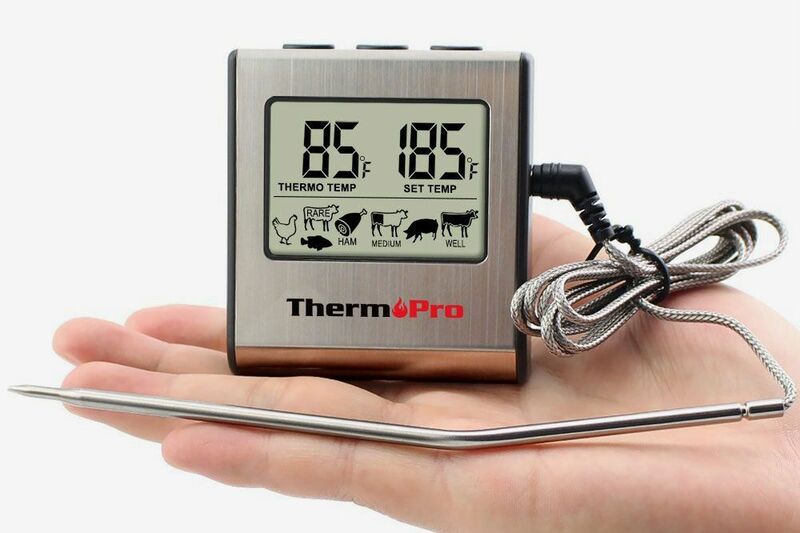 I am about to recommend that you spend $99 on a digital meat thermometer, so let me be the first to acknowledge that $99 is, objectively, a lot of money to spend on a thermometer, especially since you can find dozens of similar-looking thermometers on Amazon for a fraction of the price. 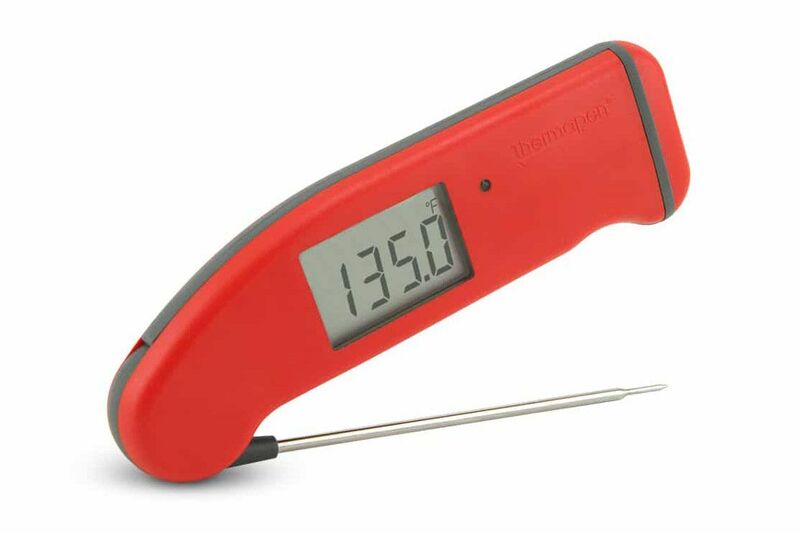 But placing the ThermoWorks Thermapen Mk4 in the same category as all of those other digital thermometers is like saying a Ferrari is just another car. 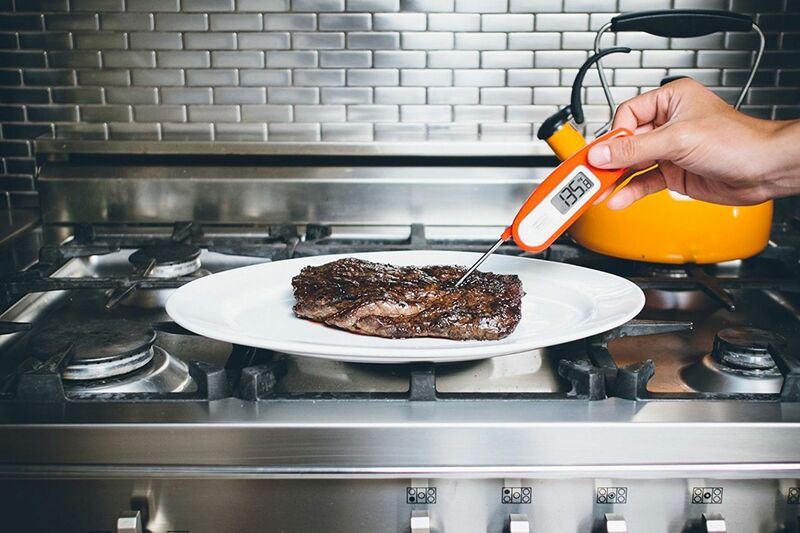 The Thermapen is shockingly versatile, and over the last year, it’s become one of the most-used tools in my own kitchen, perhaps second only to my knife. 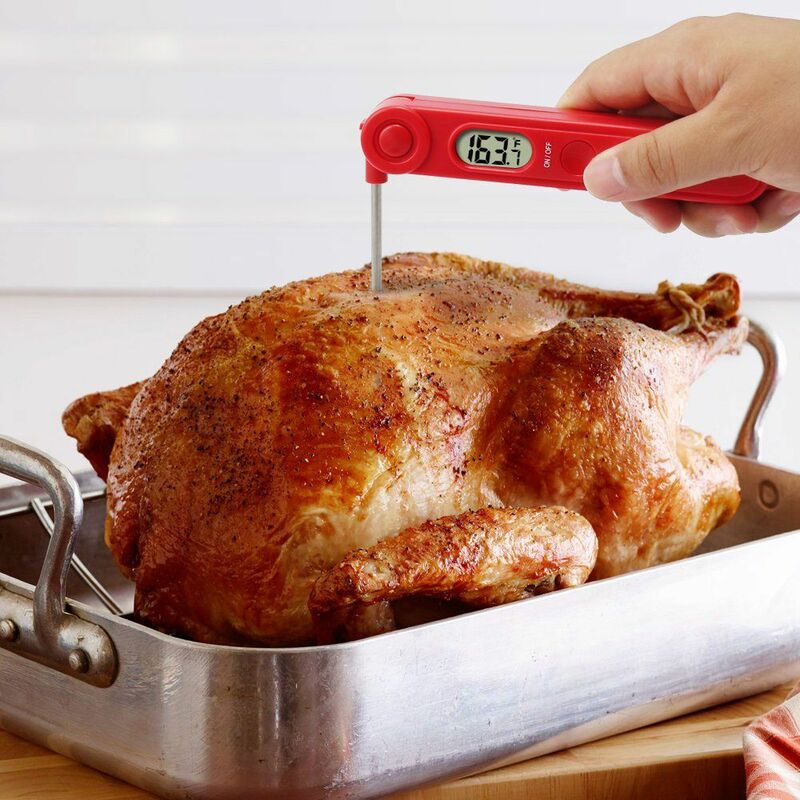 I was initially skeptical about this meat thermometer’s utility, but it’s the only tool that helped me overcome my anxiety of roasting whole chickens, something I long avoided for fear of accidentally giving myself salmonella while simultaneously worrying that I’d overcook the bird until it became inedibly dry. Same goes for steak, which I never wanted to buy and cook on my own because there’s nothing sadder than cutting into a beautiful (and expensive) slab of meat only to realize that it’s gone from perfectly medium-rare to well-done. 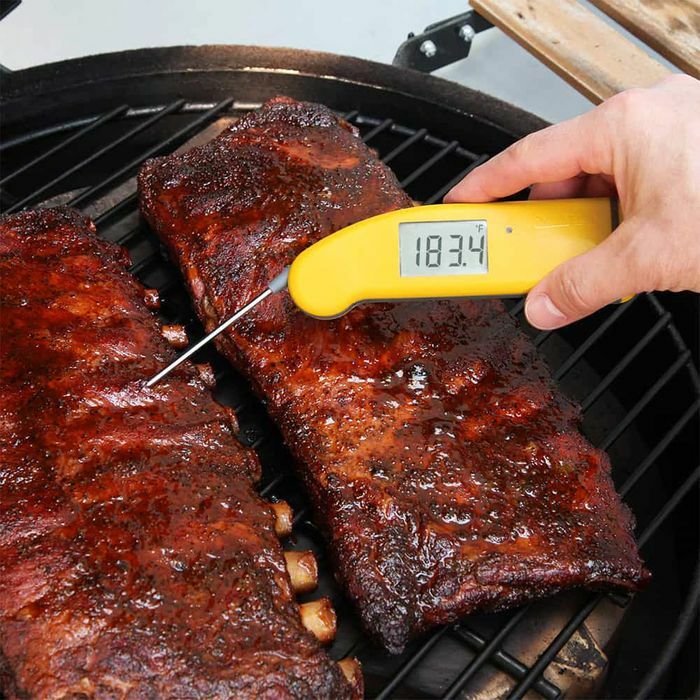 What makes the Thermapen stand out from other digital kitchen thermometers is its speed and accuracy. 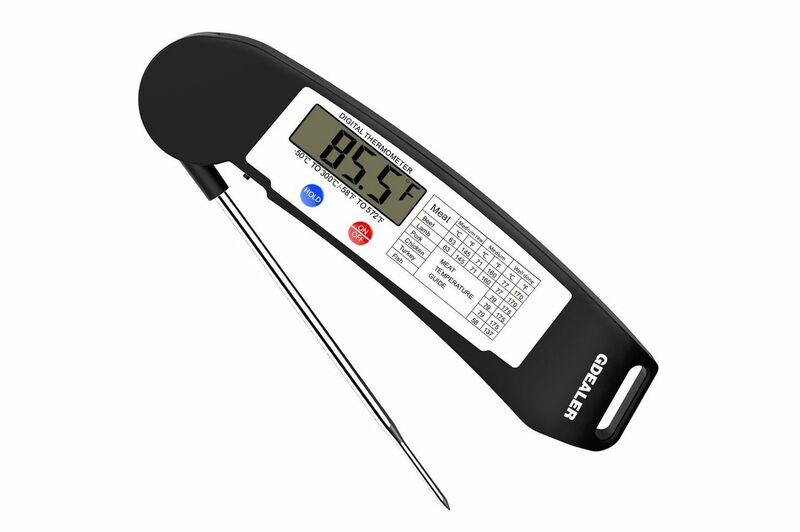 According to the manufacturer’s website, this food thermometer can tell the real-time temperature of whatever you’re trying to measure within 0.7 degrees Fahrenheit in under three seconds. 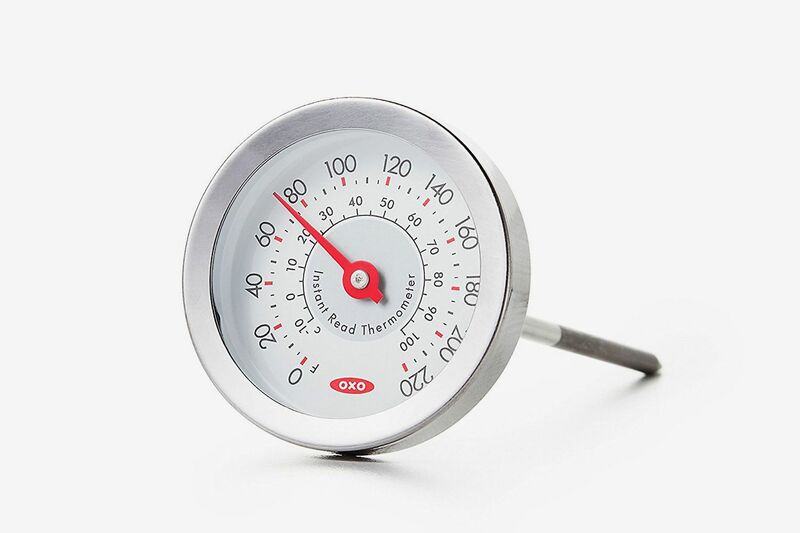 That speed makes a noticeable difference when you’re balancing a roasting pan on a hot oven door as you try to take the temperature of whatever’s inside without burning yourself or letting out too much heat. 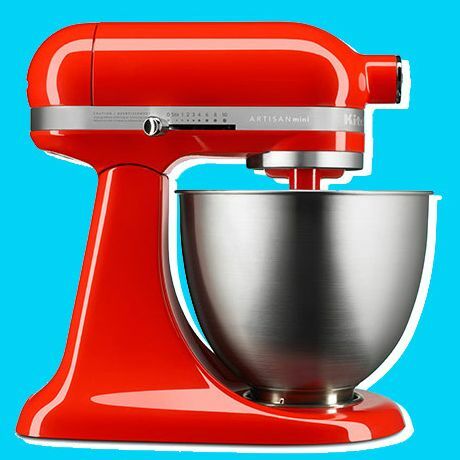 The ease-of-use is also why I find myself using it so much. 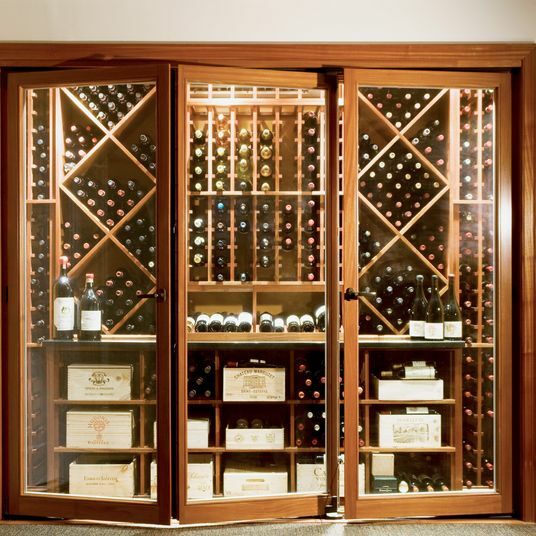 There’s no complicated setup, no Bluetooth device to which you need to connect. 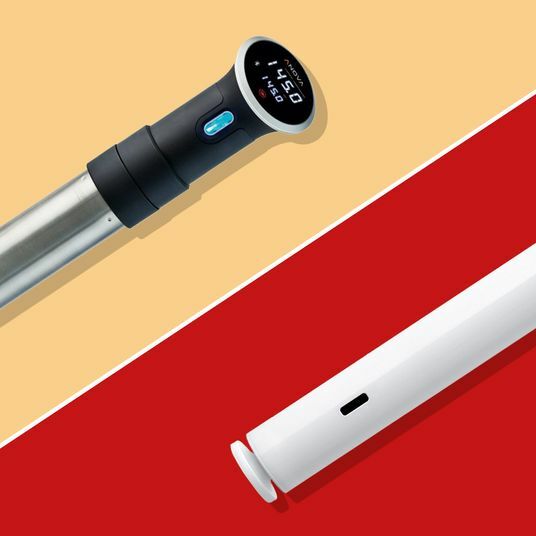 All you have to do to make the Thermapen work is swing out the thin metal sensor from the plastic body — a motion that can be made with the flick of a wrist, even as you’re holding, say, the handle of a sizzling cast-iron skillet — and stick it in whatever you’re trying to get the temperature of. 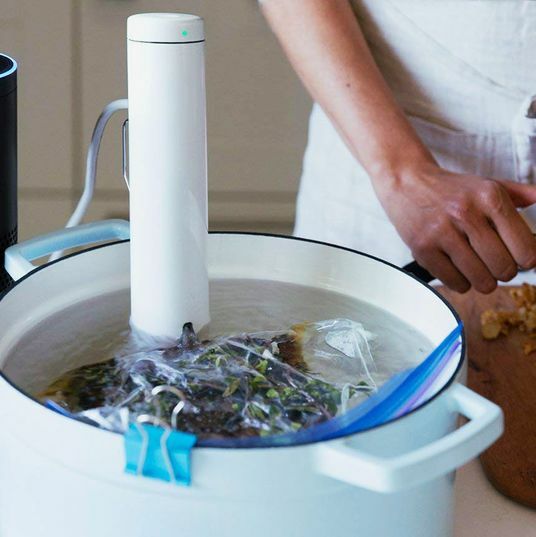 And when it’s so easy, there’s no excuse not to take the temperature of any dish you’re making to ensure that it’s cooked properly — and I really do mean any food. 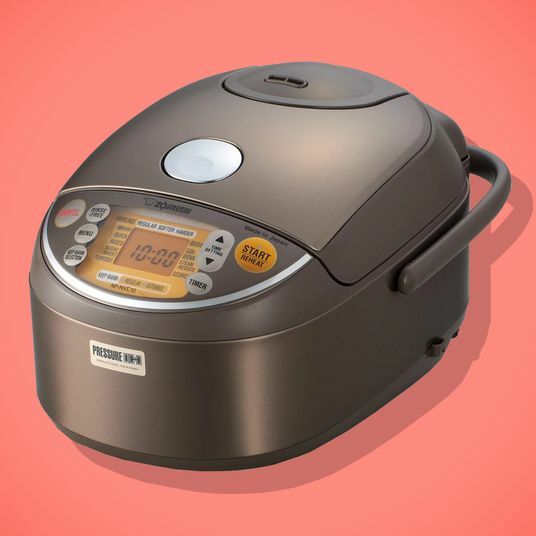 I use it to check if my loaves of banana bread, which I make every other week, are fully baked, or if oil is hot enough for frying, since the Thermapen can withstand temperatures up to 572 degrees. 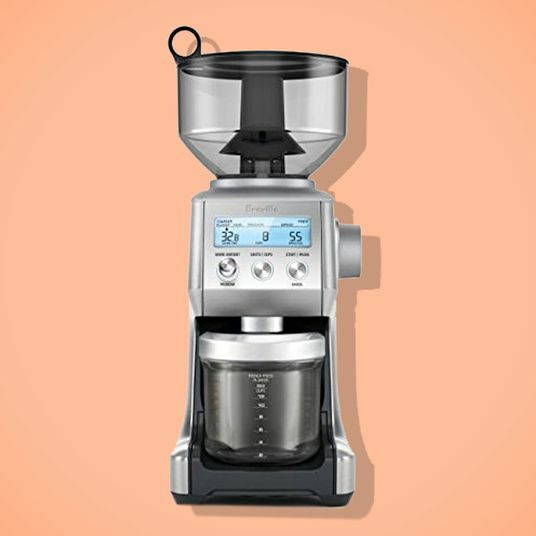 Since the device is waterproof, I use the Thermapen to make sure that the water is at the right temperature for my morning carafe of pour-over coffee (205 degrees Fahrenheit, if you’re curious) — and because this thermometer is so fast, I can see the temperature changes as the water heats up, so I know exactly the right moment to take it off the stove. 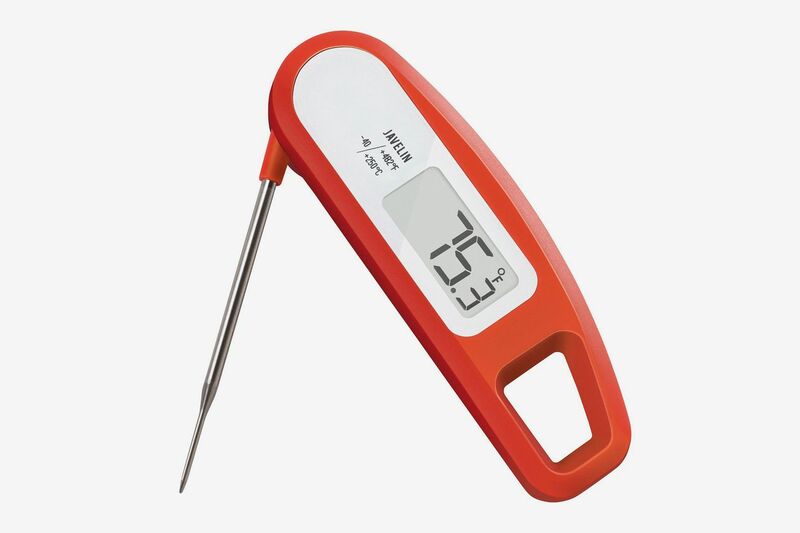 There are other clever design features that make me appreciate the Thermapen the more I use it, like how the probe has a full range of motion, so I can adjust it to whatever angle is most comfortable, or that the digital display rotates with the thermometer, so I never have to twist my head to read the temperature. 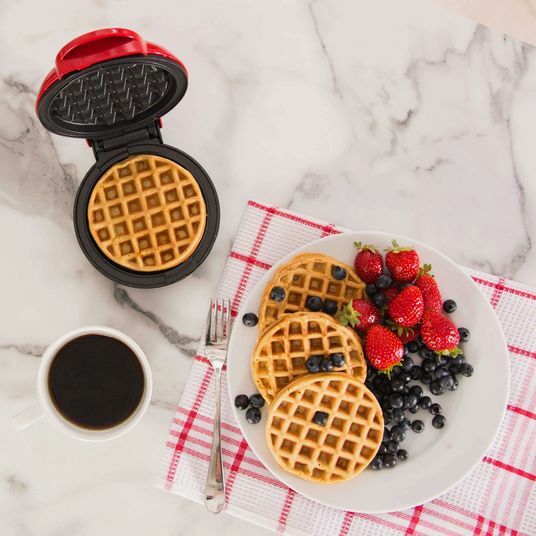 At the very least, it’s a great gift for the home cook who has it all. 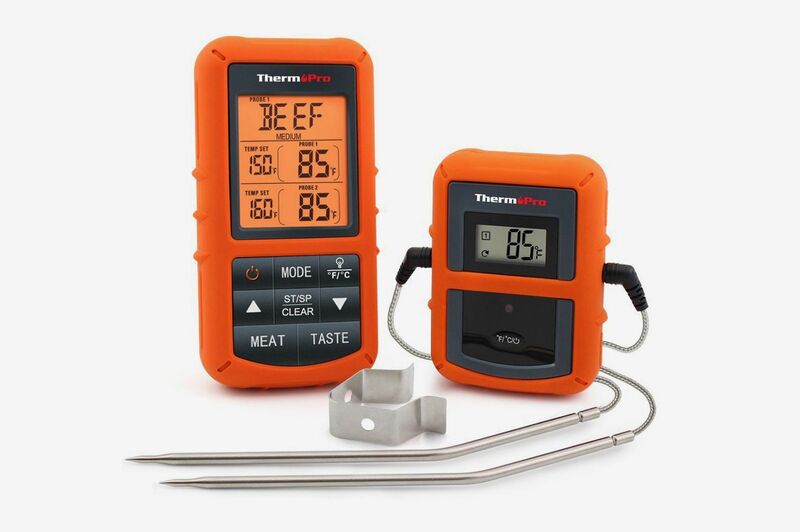 But if you ask me, the best thing about the Thermapen is how it’s made me more confident in the kitchen, able to complete any number of tasks without worrying about making myself sick or wasting a fancy cut of meat, in a matter of literal seconds. 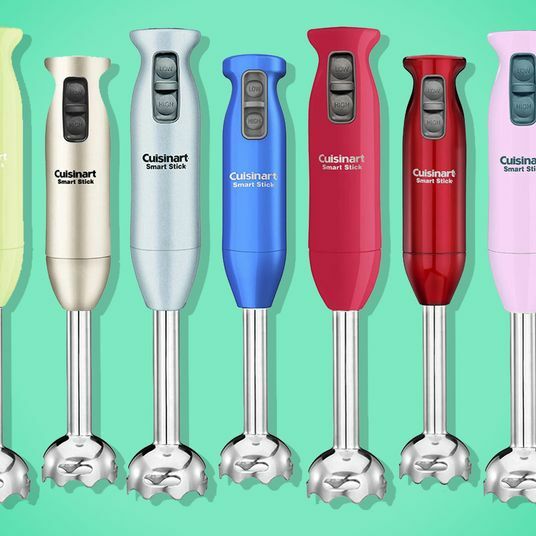 If you don’t want to spend $99 on an instant-read meat thermometer but still want a kitchen gadget that can help boost your confidence — or are maybe looking for a meat thermometer that’s got a different style — here are some well-reviewed meat thermometers that are available on Amazon, according to hyperenthusiastic home cooks. 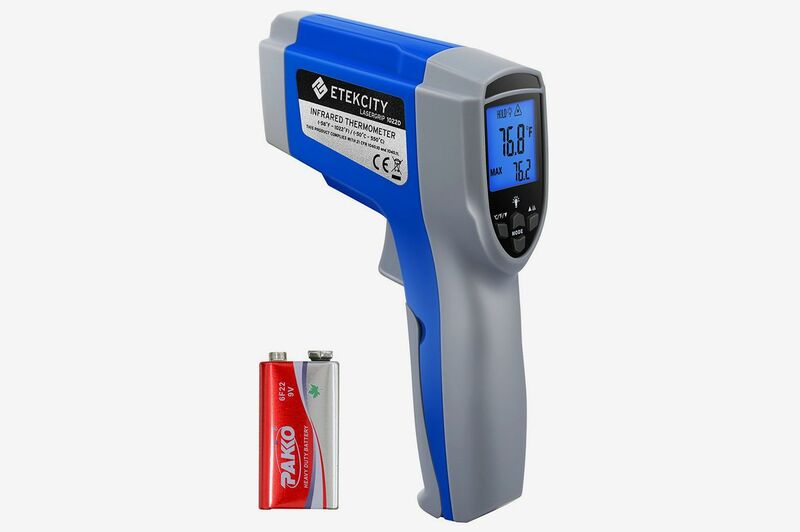 Being a wilderness photographer, I mainly got this thermometer so I can purify water out in the wilderness at high altitudes. 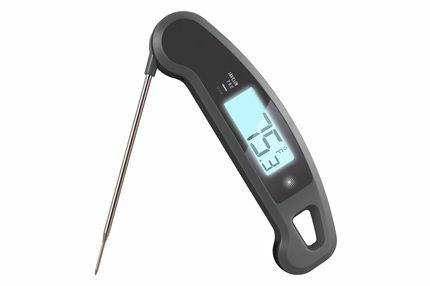 As you know water boils at lower temperatures at high altitudes, so to make sure pathogens are killed properly, I didn’t want to cheap on a good thermometer. 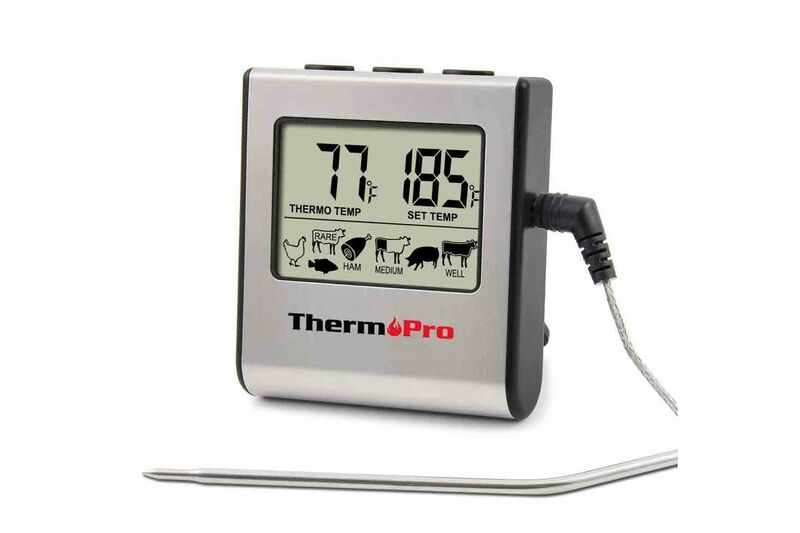 This thermometer seems accurate enough for checking ambient air temperatures and water temperatures. 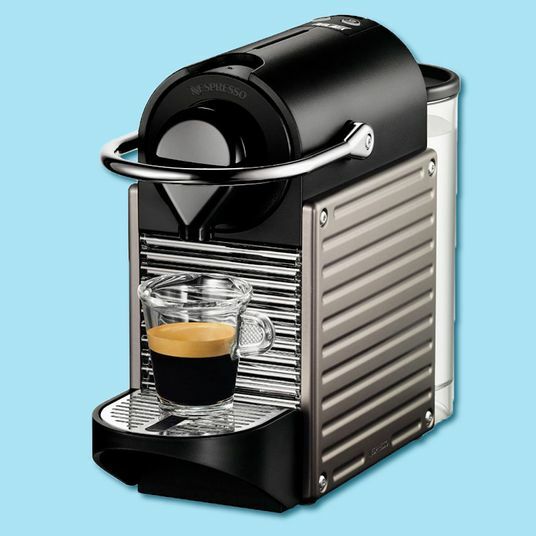 … Happy it has both Fahrenheit and celsius and is analog — no need to worry about dead batteries.